BAE Systems have opened a brand new £15.6m training academy at their facility in Samlesbury, Lancashire which marks the single largest investment in skills for the UK’s aerospace sector. 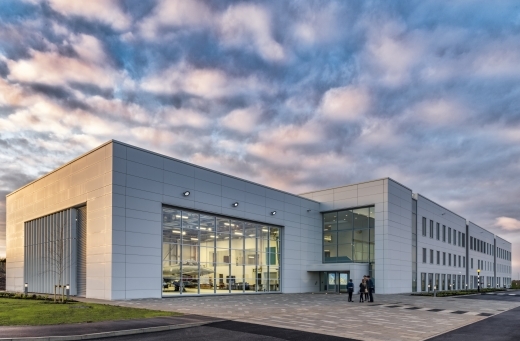 The Academy for Skills & Knowledge (ASK) is 7,400m2 in size and situated on the Samlesbury Aerospace Enterprise Zone alongside BAE Systems’ military aircraft advanced manufacturing centre. It will train all the apprentices and graduates in the Company’s military aircraft business as well as providing life-long learning and skills development activities for 13,000 employees for at least the next four decades. The academy will also act as a collaborative skills-hub for the North West’s engineering and manufacturing sector and offer an exciting learning education centre for school children from five to 14 years old. The new facility has 26 modern, light and airy classroom facilities, the ASK has been designed and built from scratch over three years – utilising the knowledge and experience of the Company’s training staff to provide the very best modern learning environment. 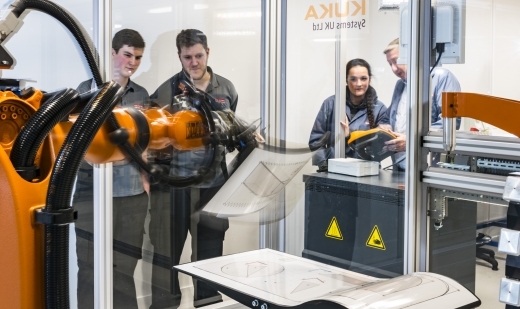 It mirrors the latest advanced manufacturing technologies and factory layouts used at BAE Systems including robotics, 3D printers, a virtual reality ‘cave’, a composites clean room, electronics and welding facilities. In early 2017, the Academy will also accommodate a Hawk jet trainer for apprentices to understand the engineering complexity and build of an aircraft at first hand. BAE Systems invests more than £80M per annum in skills. Flagship activities include a partnership with the Royal Navy and Royal Air Force that delivers a nationwide roadshow for 350 schools and aims to bring engineering to life through a highly interactive theatre show. BAE Systems’ recruited 667 apprentices across its UK business in 2016. Of those, 182 joined the military aircraft business. The Company’s apprentice training programme is rated ‘outstanding’ by OFSTED and was recently recognised with a Princess Royal Training Award.